Duna is simply the best HDU on the market. It cuts faster, cleaner, and provides an exceptional surface for high quality paint. Whether you are going to be painting it yourself or have us finish the project, you will be wowed by the results. The Matthews Paint System allows us to truly showcase your design by giving it the high quality finish it deserves. 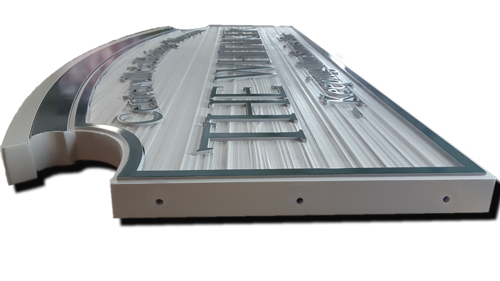 From matte to high gloss, we are proficient with multiple finishes so that your sign can be just a customized as you need. All of our signs are produced on our Multicam router table. We can cut single sheets up 5′ tall and 12′ wide, but we can also bond pieces together to make larger signs. If your design involves intricate logos and graphics that are too small to route don’t worry we have got you covered! Utilizing our HP Latex printer and premium 3M vinyls and laminates we can ensure that every element makes it onto your sign. While HDU is incredibly resilient out in the elements, the sign still must be installed correctly. And unfortunately HDU does not have enough rigidity to hold screws and bolts without some assistance. If your proposed installation is between two posts, then we have the perfect solution! Using the West Epoxy System we epoxy 3/8″ diameter internally threaded concrete anchors into the sides of your sign, at your specified locations, to ensure maximum strength of installation and durability. 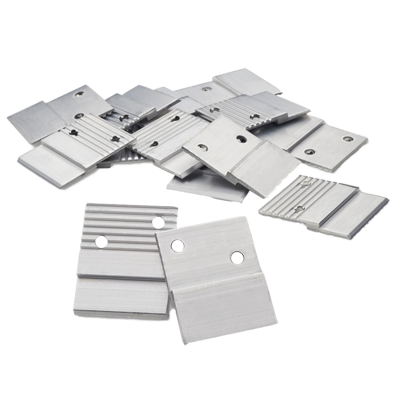 For simpler sign installations that have a solid wall or panel backer, we recommend using a French Cleat, or for a more low profile install– Z-Clips. Using VHB tape and PL Adhesive, we mount one part of the cleat to the sign so that all you have to do is hang the wall portion of the cleat level and let gravity do the rest. In certain applications, signs will require additional rigidity to prevent a strong wind from snapping your sign in half. No worries, we have the solution. 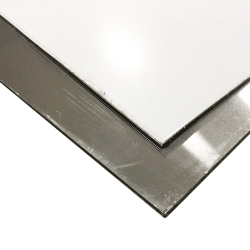 Whether your sign is single or double sided, we can take a sheet of 1/4″ MaxMetal and mount it to the backside of your sign, or even sandwich it between two single sided sign faces. We then fill and sand the edges so you end up with a seamless, extra durable sign for your customer.